As I have promised, here are some photos of the awesome Japanese phones at the studio I'm working at. These are all none functioning units though they are virtually unnoticeable from actual units. I would have loved to play with the software though. The first one is called Infobar. It's designed by Naoto Fukasawa, the legendary Japanese designer. It's kind of unpractical but the proportions are so awesomely unusual. 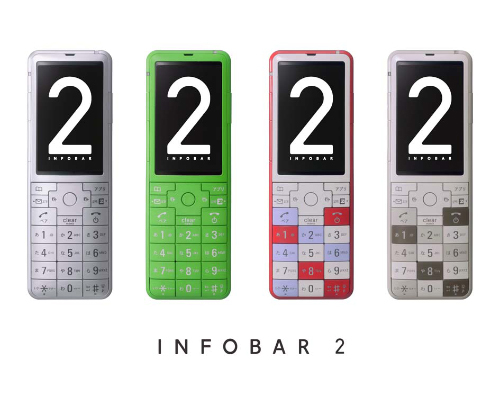 The phone on the left is the Infobar 2, also designed by Naoto Fukasawa. It's hard to believe that they actually sell a phone like this. The electronics market is so unadventurous outside of Japan. I love the way light plays off of the rounded surfaces. Fukasawa always picks really harmonious colors; no different here. Comes in a variety of colors. The color highlight is completely nonfunctional and is purely design for sake of design. Though I love the colors choices, I'd probably stick with the silver phone for this reason. Also comes in green which is matte in texture unlike the other models. "Infobar" is such an appropriate name. Although it seems like the phone will be uncomfortable, the rounded design makes it feel pretty nice: similar effect to the iPhone 3G(s). 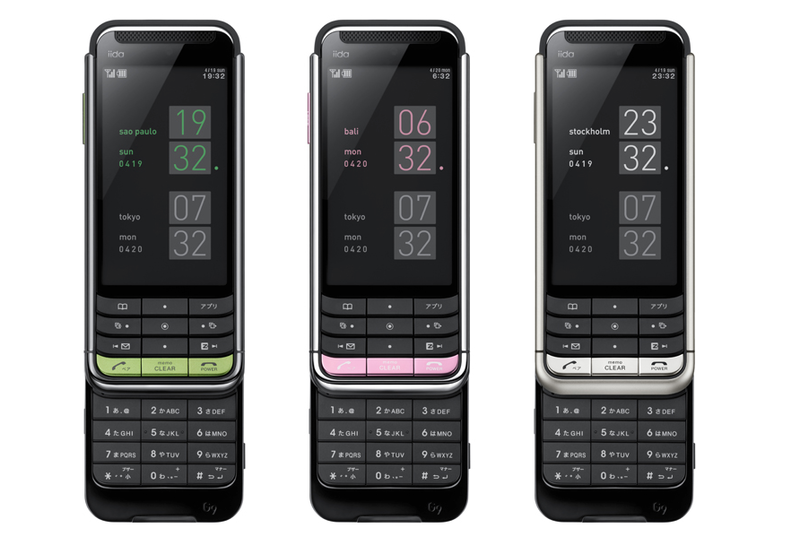 The phones from here are by a brand called "iida" - a design centric brand under the cellular company, KDDI au. This one is called Media Skin, and is by Tokujin Yoshioka, a designer I'm increasingly becoming fond of. Tasty. The Japanese phones seem to have a universally complicated design but somehow organized overall appearance. Has one of those protective flip covers that was common in Ericsson phones. Tokujin Yoshioka does some nice work. Called the Ply, this is one of iida's most iconic products. The phone is called "Ply" because it was inspired by plywood. The layers here are meant to imitate the layers visible in the wood (the brown one is a complete metaphor). "Japanese" is the best way to describe this phone. I'm starting to wish I lived in Japan. Ply looks surprisingly at home next to iPhone. Lastly, we have the G9 - a more "professional" phone. This is the least well executed out of all these phones. The problem is that the phone tries to look premium but just doesn't feel that way. If it was built like the iPhone 4, I'd be all over it. I love the design of the buttons. The silver one is the best looking. It also has a more attractive matte silver framing unlike the chrome one on the other phones. That handle seems to be largely a superfluous addition. The G9 is actually the longest phone here. Way too long to be held comfortably. I sometimes take the subway to work. The (newer) subway stations have pretty attractive typography. Similar to Windows Phone 7's Metro UI actually. My headphones, the Phiaton MS400s, had a broken headband and a worn out cable so I took them to their office to get them repaired. Phiaton is a sub-brand of Cresyn for those wondering. They had their products on display and this caught my eye. Square ear cups and flat cables, that's pretty rare. The new Avante (Elantra) is a huge improvement from the old one. It has a nasty interior design though. As far as I can see, the 2012 Focus seems like the winner in this space. Gas stations in Seoul have pumps located off the ground and offer only over full service. Strange.